The drinking fountain at one end. This busy junction might not seem a sensible place to put such an amenity, but at the time it was first erected many horses and carriages would have been coming to Walton-on-Thames Station to convey railway passengers to and from the surrounding district. As so often, the railway was built at a little distance from the town centre. 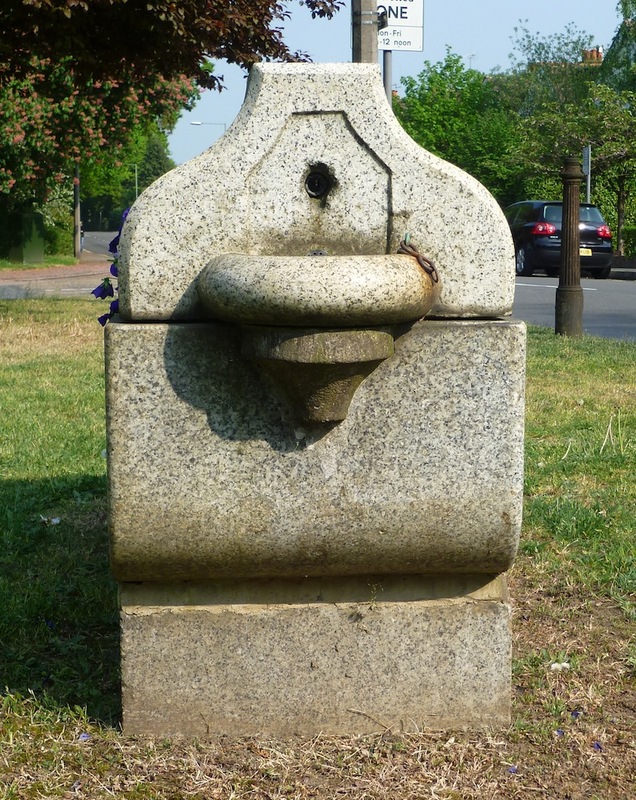 Although it only serves a decorative function now, the trough/drinking fountain was originally part of an important initiative to supply pure, cool water freely to all who needed it, and so to relieve "alike the thirst of Londoners and the suffering of dumb beasts" (Davenport-Hines). The movement had spread outside London to Greater London and beyond. In fact it is still active now as the Drinking Fountain Association, helping to provide drinking fountains in schools, and clean drinking water where needed abroad. "Cattle Trough." 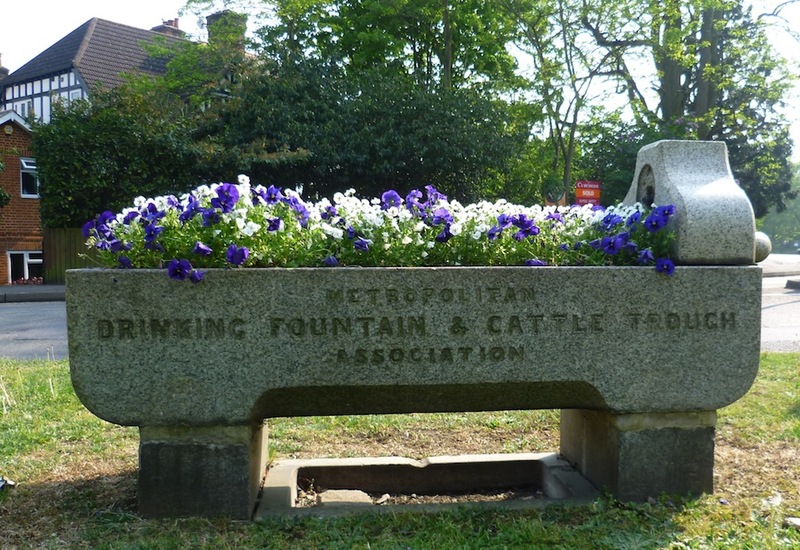 Cattle Troughs & Drinking Fountains in Surrey. Web. 16 April 2018. Davenport-Hines, R. "Gurney, Samuel (1816–1882), philanthropist and banker." Oxford Dictionary of National Biography. Online ed. Web. 16 April 2018. Thr Drinking Fountain Association. Web. 16 April 2018.